Looking for a brand-new Honda in Indooroopilly? You can’t go past Westpoint Honda Sales! We’re proud to have access to the latest range of new Honda vehicles for sale. 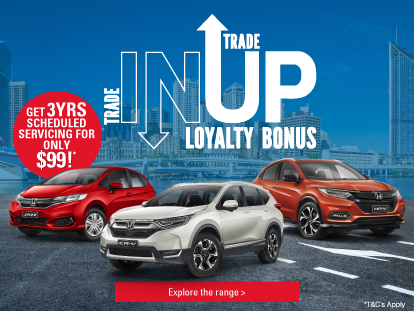 Whether you’re after a small car for city driving, a versatile SUV to fit the whole family or a sports car for thrilling everyday driving, you’re sure to find your dream car at our Indooroopilly Honda dealership. We want our customers to drive away with total confidence in their new Honda. That’s why every new Honda is backed by a 5-Year unlimited KM warranty and 6-Year protection against rust perforation. So, no matter where life takes you, we’ve got you covered. For more information about our new Honda cars for sale, or to book a test drive, please Contact a friendly member of our team today.